Does your company have a FORS accreditation or simply fleet vehicles that need safety signage? 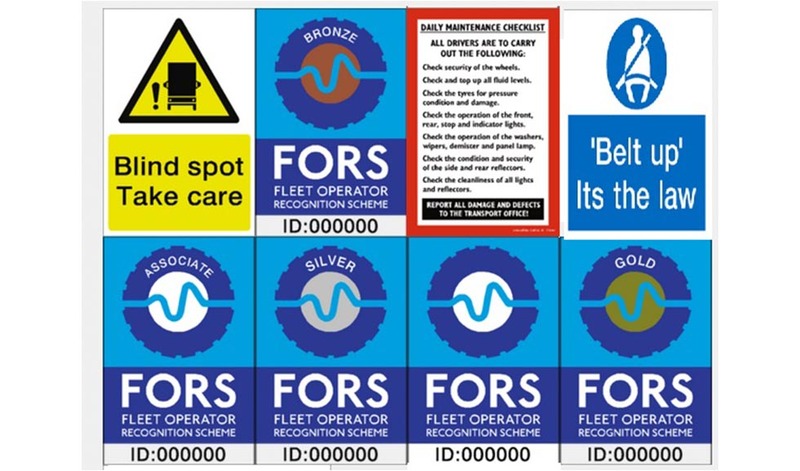 FORS and safety stickers are used to display company fleet vehicles which comply to the current FORS or safety legislation. All of our FORS and safety stickers are manufactured using external grade vinyl meaning they are suitable for outdoor use for up to 7 years. FORS is known as the Fleet Operator Recognition Scheme which is an accreditation scheme that helps to develop the efficiency of fleet activity. FORS is operated mostly around London but the scheme is now being used throughout the UK helping to improve safety, lawfulness, economical efficiency and environmental protection. JH Signage Ltd are working with FORS becoming an Associate so that we can provide the best standard safety stickers and measures.